Three new DLC packs are on the way for DARIUSBURST Chronicle Saviours. Titled RayForce, Night Striker, and Metal Black, each of these are based around the video game of the same name that Taito developed/produced back in the day. 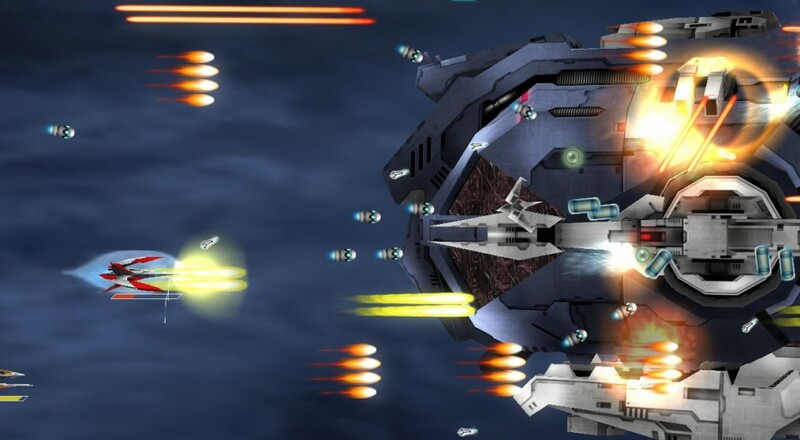 In addition to a new playable level for DARIUSBURST Chronicle Saviours' CS mode, each DLC pack will also include a new ship that is based around the featured vehicle of the respective game, and some remixed music as well. Sadly, it appears these ships will only be usable within their specific DLC level. The DLC will be made available for the PlayStation 4, PC, and PS Vita versions of the game. No price point has been announced for the DLC, or release date, but the wording of the press release makes it sound like it should be sometime this month.